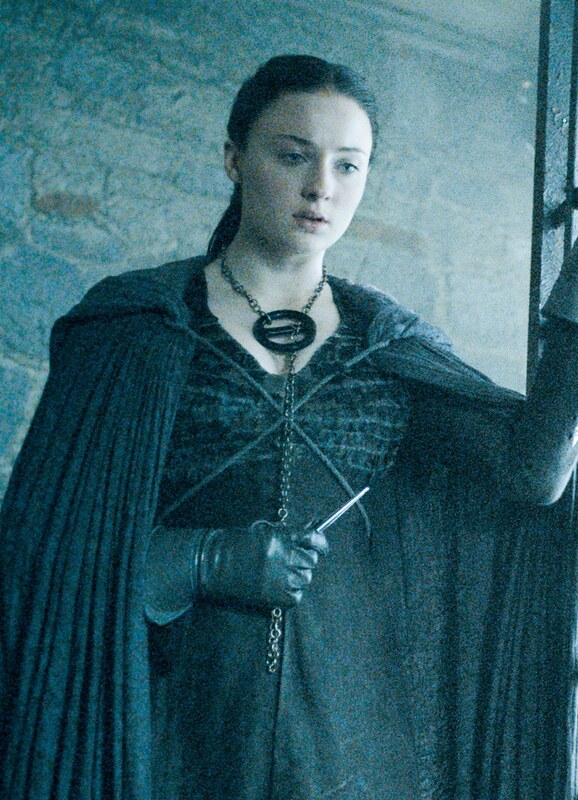 Sansa Stark in a season 8 outfit that combines imagery of House Tully (the scale-like leather dress) and House Stark (the fur cape). 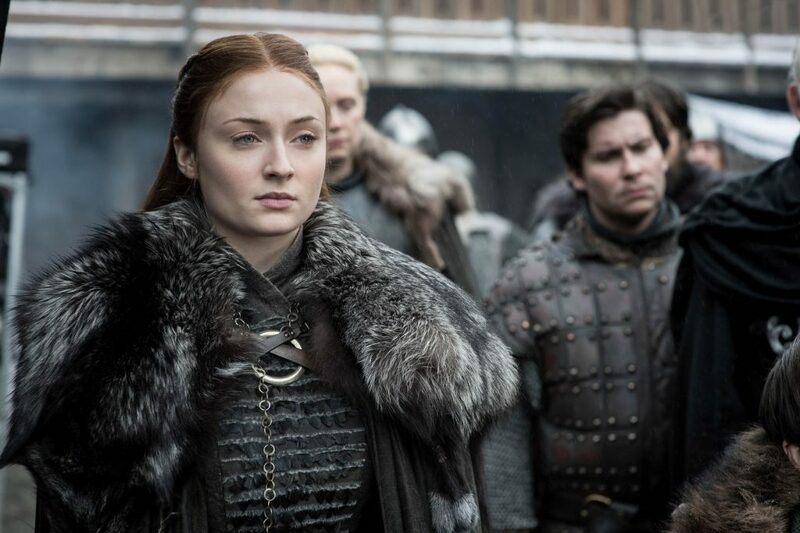 The Sansa audiences see in the final season is a hardened version of her younger self. 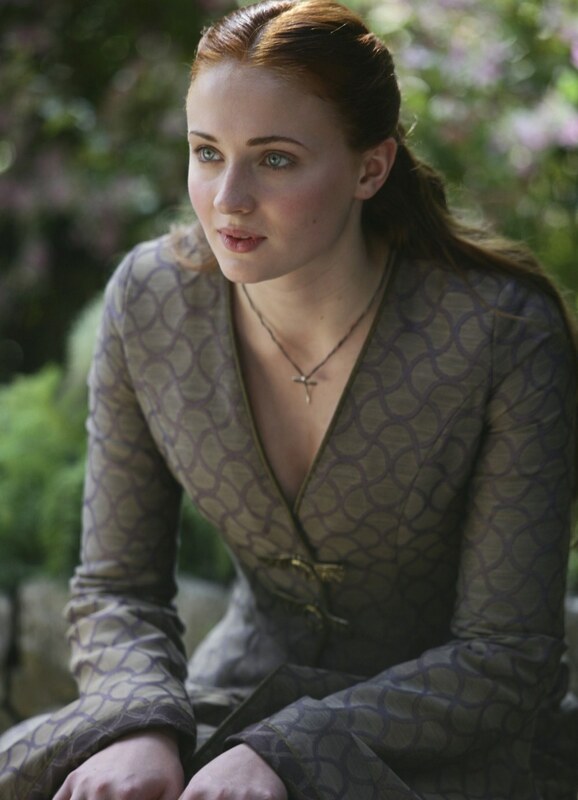 At the beginning of Game of Thrones, Sansa relocates from Winterfell to King’s Landing. The journey saw her adopt colorful styles worn by Cersei, and later, Margaery, as she tries to assimilate to her new home. “The ‘Little Bird’ initially copied the style of Cersei, when she first arrives in Kings Landing,” Clapton says. 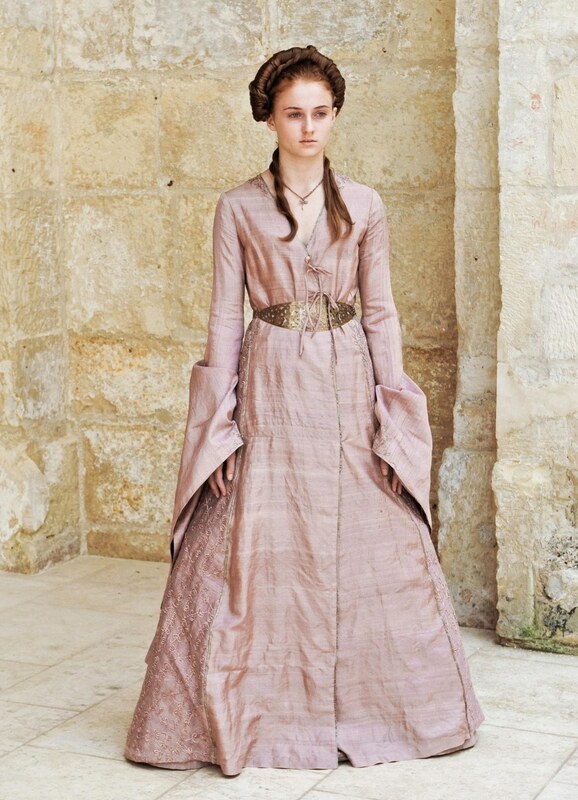 At King’s Landing, Sansa often mimicked Cersei’s early hair and clothing. 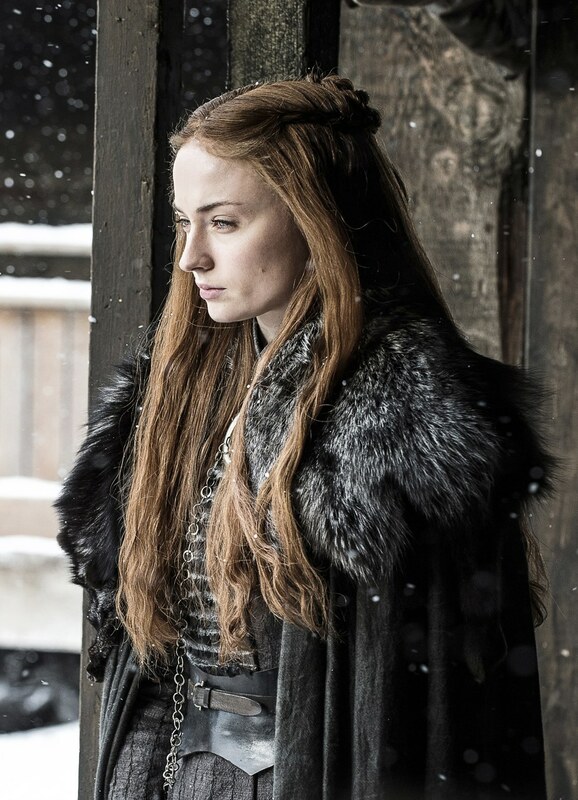 Finally, back at Winterfell, Sansa’s look is all her own. It combines elements of House Tully and House Stark imagery.